Vitamin D is an essential part of any diet. Although we associate vitamin D with sunlight, it can also be found in many other ingredients which make up a healthy, balanced diet. Now, according to Schaeffer, co-founder and dental surgeon of The Implant Centre, says there are four signs in the teeth that could be a tell-tale sign of vitamin D deficiency. As the growth of dental implant procedures is set to grow exponentially in the next few years, there are many ways in which you can prevent tooth loss in the long-run. Take a look below to see why you might need to commit to dental implants in Oxfordshire in 2019. Bad breath – although it’s not a direct link to the deficiency, bad breath can indicate a lack of iron or zinc, as well as all-around bad oral health. Vitamin D aids the absorption of calcium and phosphate in the teeth and bones. On from this, this could affect the strength of the bone and weaken the structure, causing inflamed gums. Toothache and sensitive teeth are two other symptoms which are often accompanied by swollen gums and changes in gum texture. 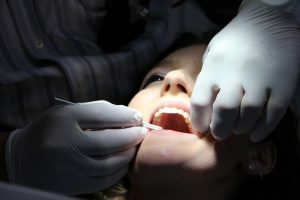 In most serious cases, gum infections can occur and this is when you would need to seek professional help at your local dental practice as soon as possible. How can we prevent vitamin D deficiency and tooth loss? It’s important that, especially over the winter months where there is a decrease in sunlight, that adults and children get the recommended daily amounts of vitamin D to support growth and decrease the risk of gum disease and tooth loss in later life. Babies up to the age of one need the equivalent of 8.5 to 10 milligrams of vitamin D, daily, according to the NHS. On the other hand, children from one year old up to adults need 10 micrograms of vitamin D a day. Beat Tooth Loss with Dental Implant Treatments Oxfordshire. Although we never hope you have to have dental implants if the time did ever come for you to see a professional dental implant dentist in Banbury due to mineral deficiencies, know that you are in safe hands. With high-end industry technology and Dr Tom Donnelly at the forefront of dental implants in the UK, your treatment would be as safe and durable as possible. Talk to one of our expert and advisable team members today who can go through our dental implant services in Banbury. Call us on 01295 262008.